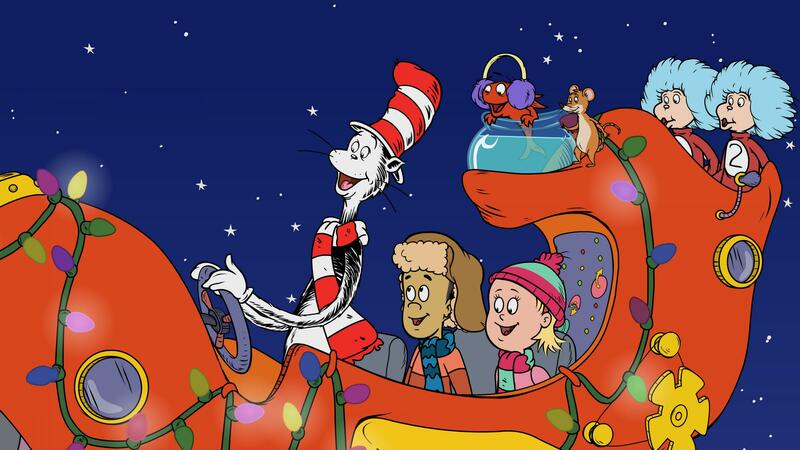 Families can kick off the holiday season on West Virginia PBS with the return of the blockbuster hit The Cat in the Hat Knows a Lot About Christmas! on Wednesday, Nov. 27 at 3 p.m. The entertainment continues with additional programming from favorite series across the schedule featuring the variety of holidays that families celebrate at this time of year, including an Elmo Christmas special from Sesame Street, new episodes from Daniel Tiger’s Neighborhood, and encore presentations from favorites such as Curious George: A Very Monkey Christmas, and Arthur’s Perfect Christmas throughout December. 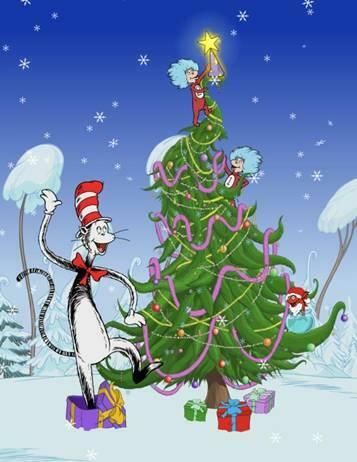 WV PBS will also feature holiday- and winter-themed games from The Cat in the Hat Knows a Lot About That! and other series starting in early December on pbskids.org. The Cat in the Hat Knows a Lot About Christmas! -- This adventure finds the Cat in the Hat, Nick and Sally on a journey around the world to help a lost reindeer find his way home to Freezeyourknees Snowland in time for Christmas. On the way, the Thinga-ma-jigger breaks down, and they depend on a variety of animals – from African bush elephants to bottlenose dolphins to red crabs – and their remarkable abilities to help them make an amazing journey home. Nov. 27 at 8:30 a.m. & 3:30 p.m.
Nov. 28 at 8:00 a.m. and 3:00 p.m.
Nov. 29 at 2:00 p.m.
Nov. 30 at 7:00 a.m.
Dec. 1 at 7:30 a.m.
Dec. 13 at 8:00 a.m. & 3:30 p.m.
Dec. 24 at 3:30 p.m. 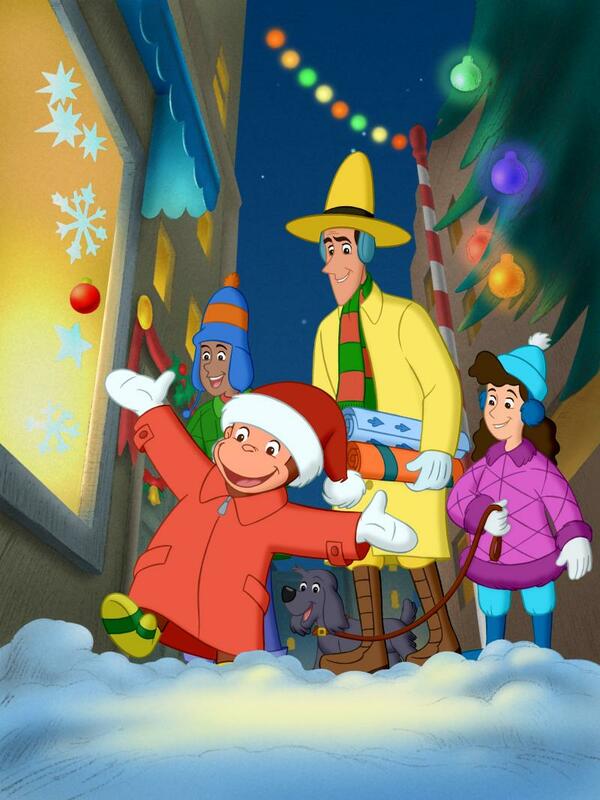 Curious George: A Very Monkey Christmas – Curious George and The Man with the Yellow Hat are having a wonderful time getting ready for Christmas. There’s only one dilemma – neither of them can figure out what to give the other for a present! In the end, both gift-giving predicaments are simply and beautifully resolved, revealing the true spirit of the holiday season. Dec. 9 at 8:00 a.m. & 4:00 p.m.
Dec. 14 at 7:00 a.m.
Dec. 25 at 8:00 a.m. & 4:00 p.m.
Caillou’s Christmas – Caillou goes out caroling for the very first time with Mommy, Daddy, Rosie, Grandpa and Grandma. He finds out caroling is lots of fun – you get to stay up late and surprise your friends with carols, and you even get treats! 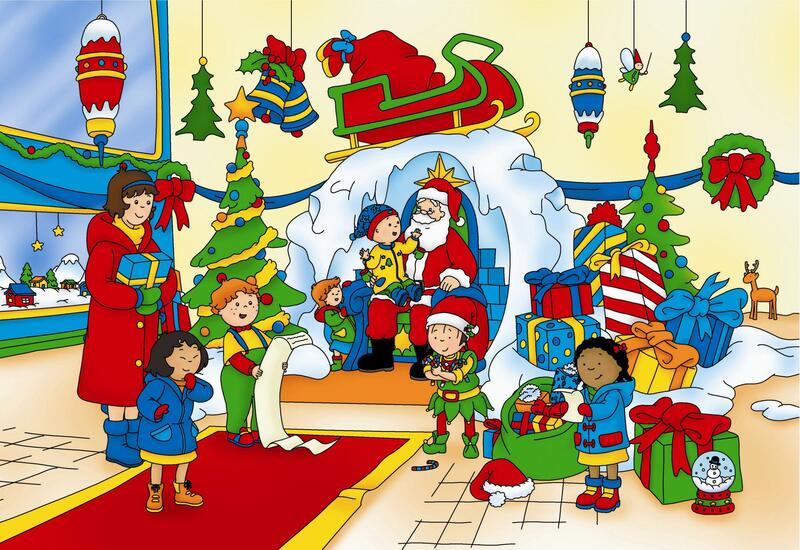 At Playschool, Caillou and his classmates learn about the many ways of celebrating the holiday season. 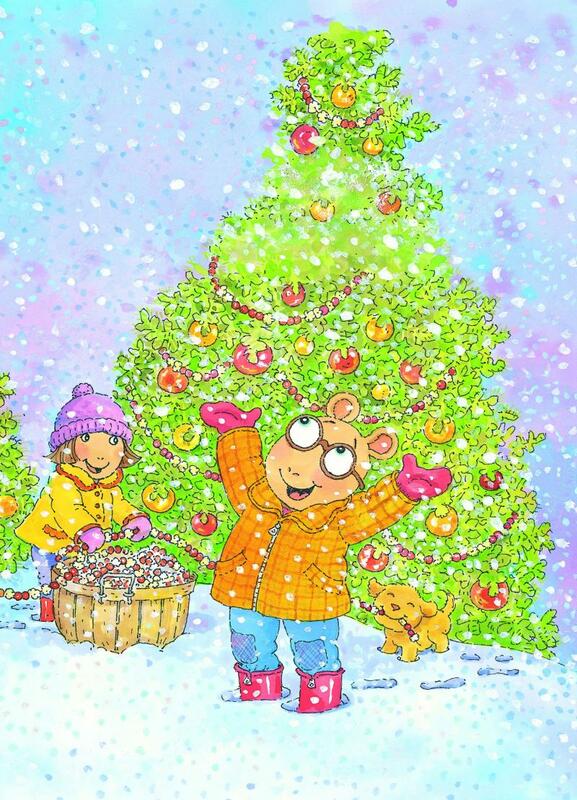 The children bring various seasonal objects for show and tell – Caillou brings his Christmas stocking to show. And finally it’s Christmas Eve and Caillou is planning to stay up all night to see Santa, but when the time comes he finds this to be a lot harder than he thought it would be. Just as he’s dozing off he faintly hears Santa calling out “Merry Christmas!” And in the morning his stocking is full of treats! Arthur’s Perfect Christmas – Everyone’s favorite aardvark gives kids a new spin on seasonal traditions in his first one-hour primetime special, showing children many ways to celebrate “the holidays.” Plans are underway in Elwood City for the best holidays ever as Arthur, D.W., their family and friends make preparations for perfect gifts, perfect parties and perfect family traditions for Christmas, Hanukkah, Kwanzaa and even “Baxter Day” (Buster and his mom’s special celebration). The only problem is, just like real life, perfection is hard to attain and things start to fall apart. 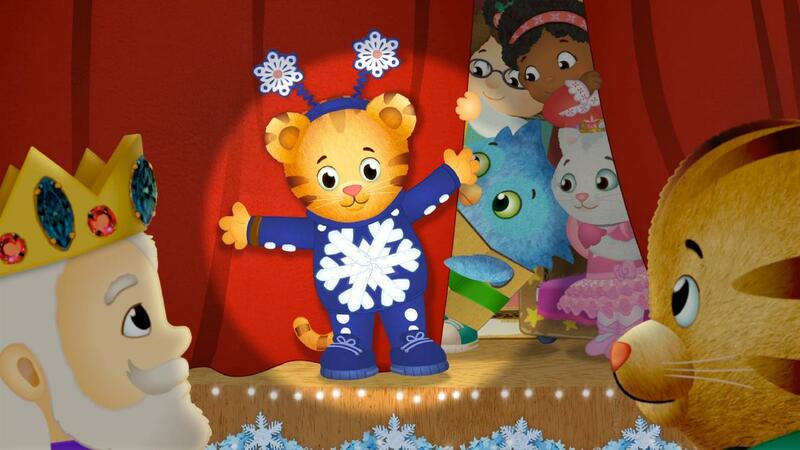 Dec. 10 at 7:00 a.m. & 4:30 p.m.
Dec. 25 at 7:00 a.m.
Daniel Tiger’s Neighborhood -- Two new episodes: “A Snowy Day” and "Snowflake Day"
"A Snowy Day" -- It’s snowing in the Neighborhood! Miss Elaina is coming over to Daniel’s house to play in the snow. When it’s time to go outside, Mom Tiger helps Daniel change out of his pajamas into clothes that will keep him warm and he learns how important it is to choose the proper clothes. 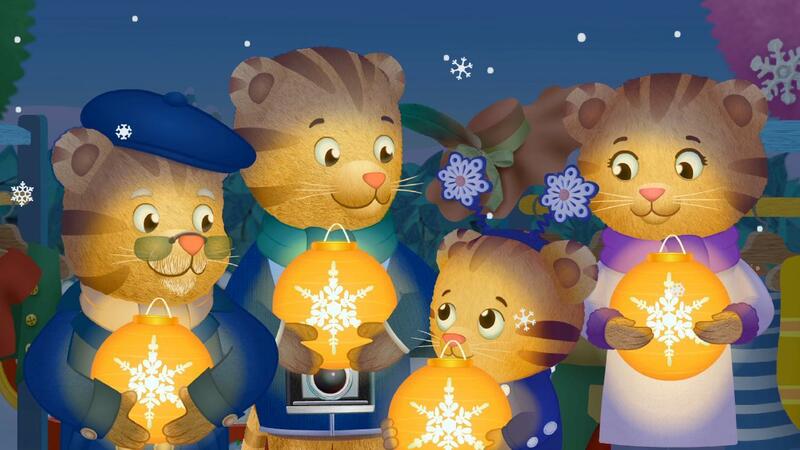 Watch “A Snowy Day” on WV PBS on Dec. 2 & 10 at 11 a.m. and Dec. 24 at 11 a.m. & 1 p.m.
“Snowflake Day” – Daniel has a special role in the Snowflake Day show. Watch this episode on Nov. 27 & 28, and Dec. 11 at 11 a.m.; Dec. 25 at 11 a.m. & 1 p.m.
Elmo’s Christmas Countdown – There’s a miracle on Sesame Street in this special holiday tale. Elmo, Abby Cadabby and their new friend Stiller the Elf (voice of Ben Stiller) are going to count down to Christmas with the Christmas Counter-Downer. But all the counting boxes have gone missing and Christmas may never come again! Can Elmo, Abby and Stiller the Elf save Christmas? With the help of very special guests Sheryl Crow, Jamie Foxx, Anne Hathaway, Jennifer Hudson, Alicia Keys, Brad Paisley, Ty Pennington, Steve Schirripa, Tony Sirico and Kevin James (as Santa Claus), Elmo and friends learn to believe in Christmas miracles. Watch Elmo’s Christmas Countdown on WV PBS Nov. 27, Dec. 11 and Dec. 25 at 11 a.m.